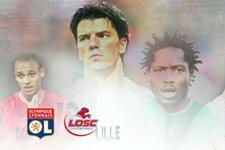 Makoun: "Les Lyonnais out for revenge"
How did you see Lille’s last two matches? They were two matches I sat out to try and recuperate after all my efforts recently. I hope that time off will help me be at my top against Lyon. You have to get used to not playing sometimes because we got a squad where everyone is ready to play. It’s always great to see you can count on the whole squad. That defeat really hurt, especially coming at home because for a year, we’d almost won every game in our own stadium. All of sudden we conceded three goals against Toulouse and that’s really a lot. But that’s football, you have to accept defeat and get on with it. You have to know how to bounce back, even if we know it won’t be easy against Lyon. 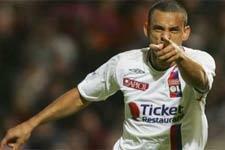 Still, I think we’ve got what it takes to get a good result from the Stade Gerland. How will you approach the match of the round against Lyon? Above all, we have to concentrate on our own game and look to take the game to them and show that we’re up to the challenge. 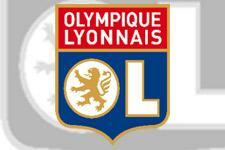 We know that Lyon is a strong team, used to having the ball. We have to try and deny them possession, to play our own game and not be chasing after them for the whole match. If we can do that then we’ll be in the game and have every chance of getting the result we want. What memories do you have of the win at Gerland last season? We really had a great game that day, all over the park. I think we really were better than them that day, without taking anything away from their undeniable quality. We scored three goals against them, and not everybody can do that against Lyon. We were focused and also very good in front of goal. This weekend, I hope that everyone thinks about what we did that day because we still have the capacity to put this OL team in difficulty. Of course, they two will be motivated and looking for revenge.